Imagine if every month your landlord shows up at your pad, lets himself in, and begins installing features he says are essential to the security of your home. On top of his monthly visits, he also comes twice a year and redecorates your place, adding even more stuff whether you want it all or not. Even more annoying, your landlord is a bit clumsy at times. Yes, he installed a fancy new shower head during his last uninvited visit, but he also broke your water heater. “Oops!,” he says, along with a promise to fix it soon. That’s sort of what it’s like running Windows 10, though thankfully, changes are in store. In essence, Microsoft is promising to be a better landlord for its Windows 10 tenants. “In previous Windows 10 feature update rollouts, the update installation was automatically initiated on a device once our data gave us confidence that device would have a great update experience. 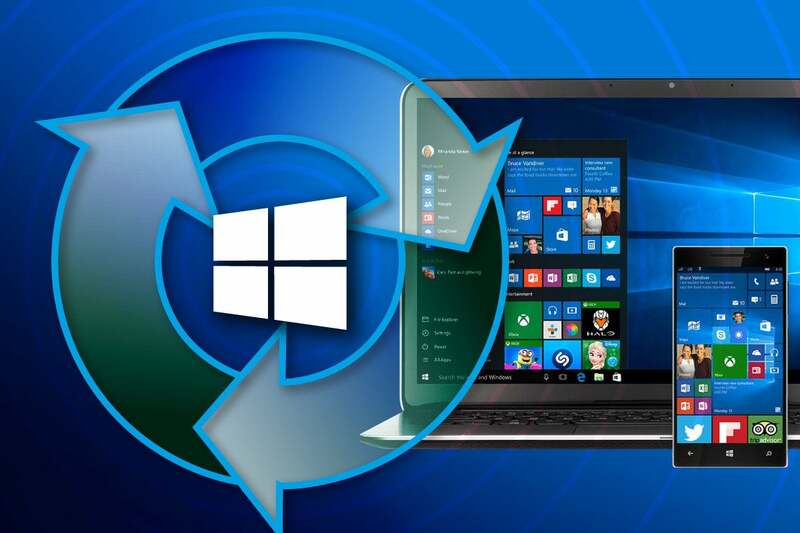 Beginning with the Windows 10 May 2019 update, users will be more in control of initiating the feature OS update. We will provide notification that an update is available and recommended based on our data, but it will be largely up to the user to initiate when the update occurs,” Microsoft explains in a blog post. The reason this is a big deal is because Microsoft’s updates sometimes cause more problems than they solve on some PCs. This can be especially problematic with the biannual updates. The October 2018 update, for example, was a buggy mess when it arrived. There were reports of missing files after the upgrade, and various other bugs. Microsoft actually ended up yanking the October 2018 update because of the problems it was causing, and didn’t start rolling it out again until mid-November. In addition, Microsoft is tweaking its “active hours” feature, which lets users set a time range of when they use their PC. By default, this is set at 8 am to 5 pm. “To further enhance active hours, users will now have the option to let Windows Update intelligently adjust active hours based on their device-specific usage patterns,” Microsoft says. These are welcome changes. Microsoft’s goal has been to release major upgrades to Windows 10 twice a year. It doesn’t look like that’s going to change, so giving users more control over how and when they’re doled out is important. “Microsoft will aggressively internally deploy the May 2019 Update during the Release Preview period and encourage employees to do the same on their personal devices. By carefully studying data from this expanded population and for this additional time, we will gain increased confidence in Windows quality before offering it to a broader audience later in May,” Microsoft adds.